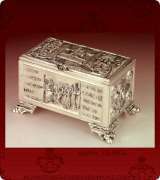 6 1/2 in. 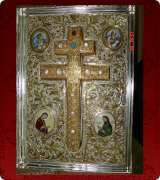 x 4 1/4 in. 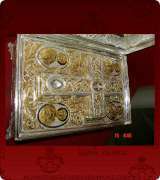 x 6 1/2 in. 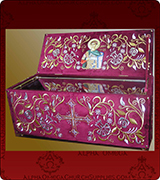 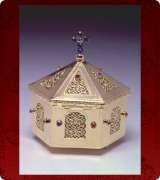 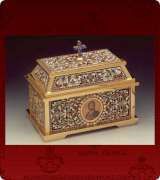 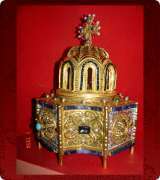 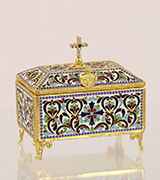 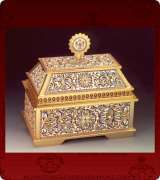 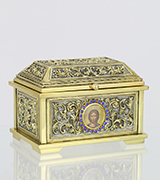 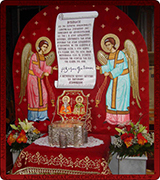 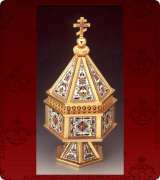 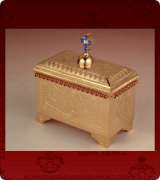 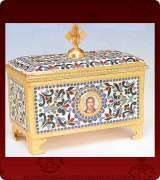 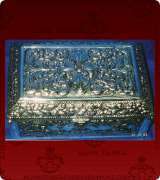 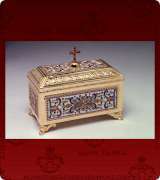 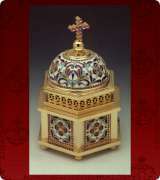 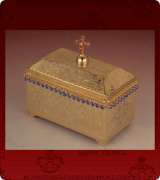 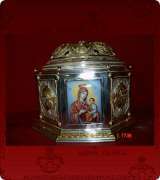 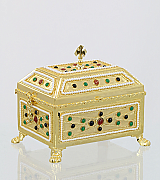 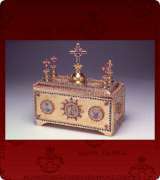 Enameled Gold plated Reliquary, with filigree workmanship. 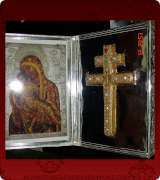 9 1/4 in. 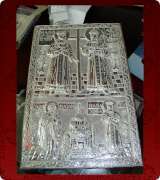 x 5 1/2 in. 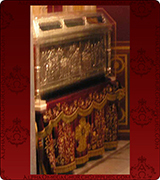 x 5 3/4 in. 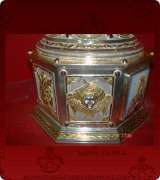 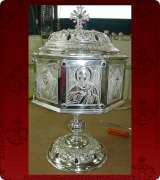 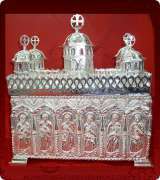 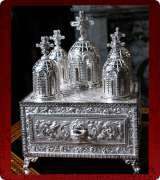 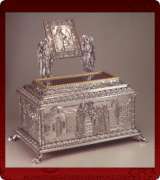 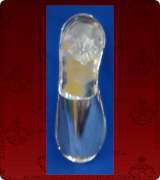 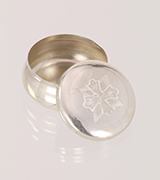 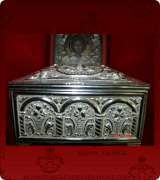 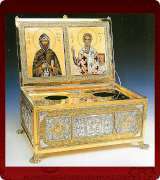 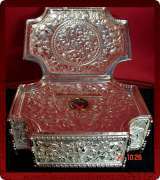 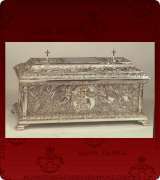 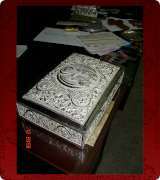 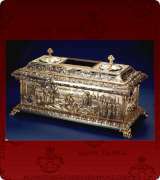 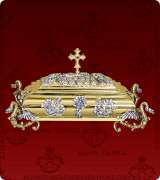 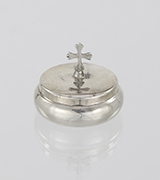 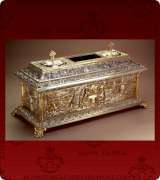 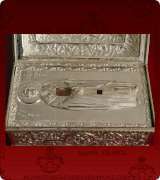 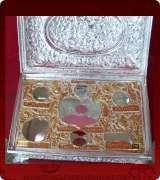 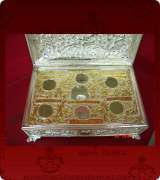 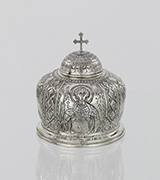 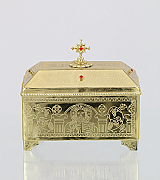 Gold and Silver plated Reliquary. 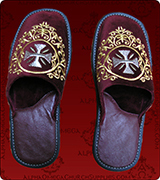 9 1/4 in. 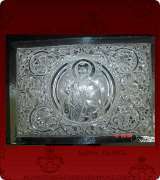 x 5 1/2 in. 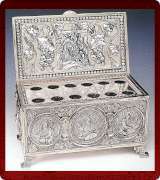 x 5 3/4 in. 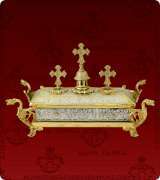 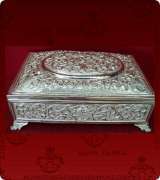 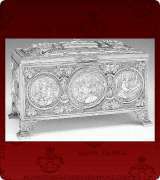 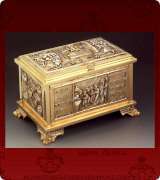 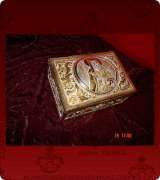 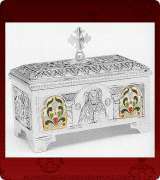 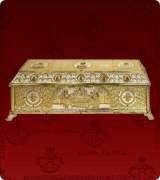 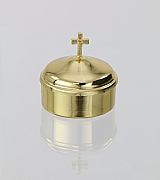 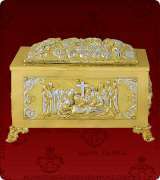 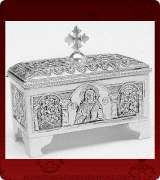 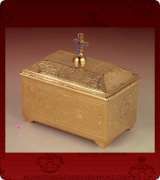 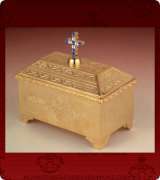 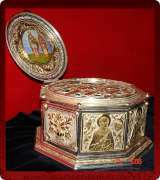 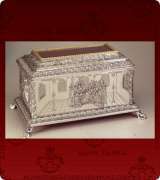 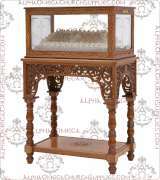 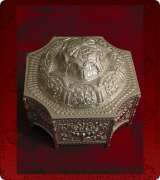 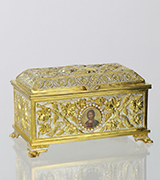 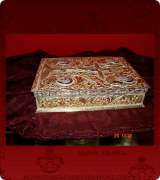 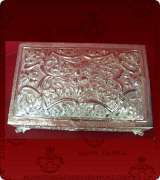 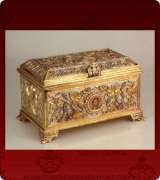 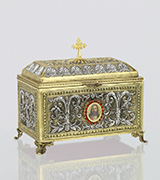 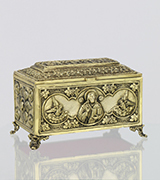 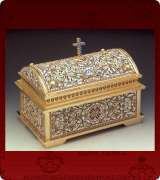 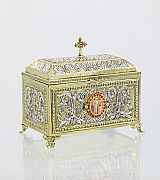 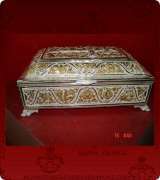 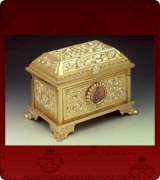 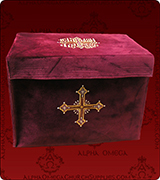 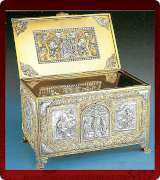 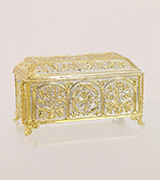 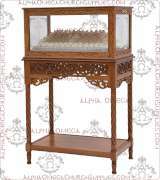 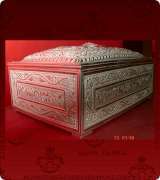 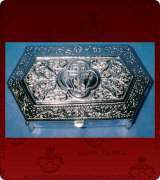 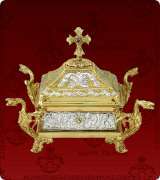 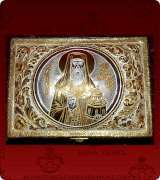 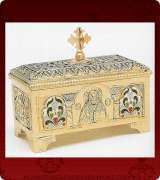 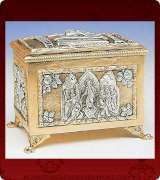 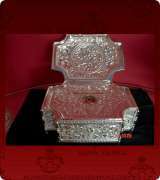 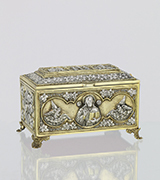 Gold plated Reliquary with detailed carving in patina finish.